Here’s your Insider Guide to all things Smokies. These activities, attractions and parklands offer something for every age and interest. We’ve included a brief description along with links to websites where you can find more details. The Insider’s Guide will continue to grow and be refined so please check back for updates. It’s a great tool to share with your family and friends when planning your vacation! 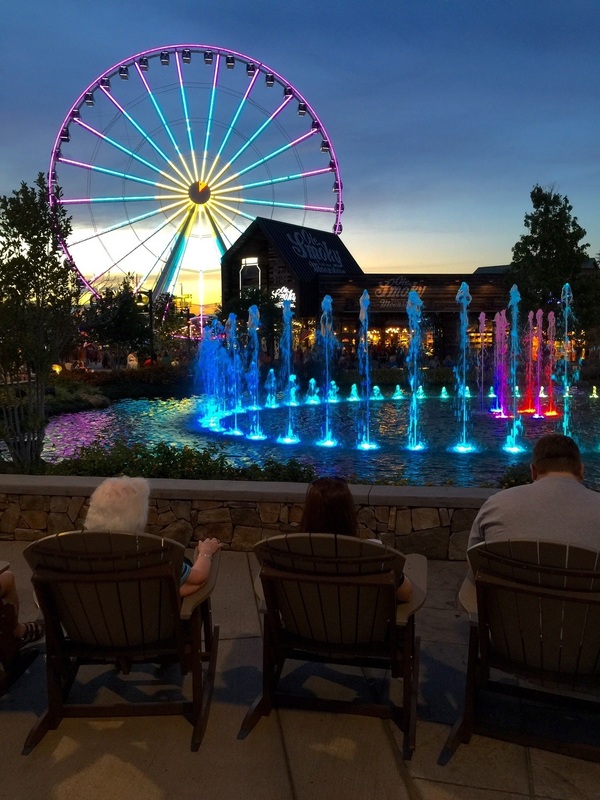 Set aside an evening to visit The Island in Pigeon Forge and you’ll be rewarded with a Technicolor experience. While you can always come in the daytime, the lights at night transform the area into a carnival-like atmosphere. Plant yourself in a comfy rocker around the Show Fountains and be mesmerized by the twice-hourly music and light shows. Plenty of restaurant choices (some with outdoor seating) will suit most any taste and budget. There’s shopping in the meandering alleys behind the main areas, too. Visit The Island website for discount coupons and special events. Active youngsters will find all sorts of attractions: a restored merry-go-round originally from Ober Gatlinburg, Mirror Maze, The Island Ropes Course, Thunderdome (bungy-based trampoline), and Arcade City to name a few. There’s a large free parking lot that’s accessible off the Parkway (at The Island Drive traffic light) or Teaster Lane. We recommend the Teaster Lane entrance for busier times because it’s less congested than the Parkway. If members of your party have mobility challenges, look for the tram pickup stations and park close to one of them. The trams make regular rounds and you shouldn’t have to wait long. The Island’s planners have done a good job of making this a very accessible location: there are benches and chairs all throughout the area, drinking fountains, clean and nice restrooms and all the walking is on level ground. 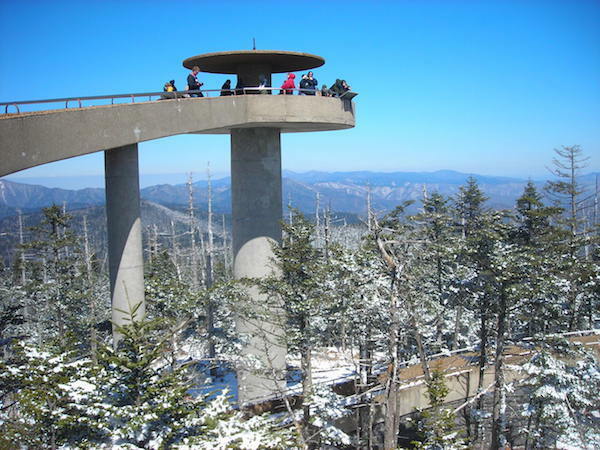 The iconic Clingman’s Dome observation tower is 23 miles from Gatlinburg and on a good day, you can see 20 miles or more. On the clearest of days, 100 miles. At 6,643 feet above sea level, it’s the highest summit in the GSMNP. Only Mt. Mitchell (6,684 ft) and Mt. Craig (6,647 ft.) in North Carolina are higher points in the eastern U.S. The half-mile hike on the paved path up to the tower is steep and not suitable for wheelchairs. Most people need to take a breather along the way, so don’t feel bad if you need to stop and take a break. Be prepared for 10-20 degree cooler temperatures than the lowlands and dress accordingly. When you’re driving from Gatlinburg to Clingman’s Dome, watch the temperature gauge in your car and see who comes the closest to guessing the actual temperature when you arrive! Though the observation tower is open year-round, the 7 mile road that leads to it closes from Dec. 1-March 31. 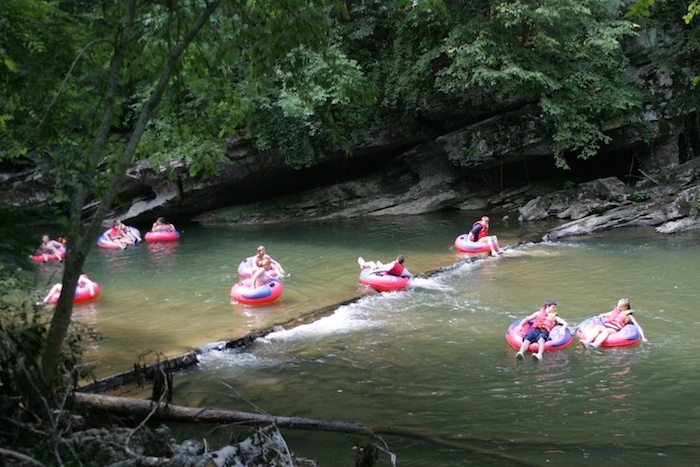 On a hot summer Tennessee afternoon, there’s nothing more refreshing than floating downstream on an inflatable tube. It’s also one of the most affordable activities averaging about $10 per person including your tube, life vest and transportation. There are several tubing companies in the area but most are in Townsend near Cades Cove. If you want to tube closer to Pigeon Forge, try River Romp off Pittman Center Rd. Other outfitters in Townsend include River Rat, Tube Junction, Cowboy Tubin’ and River Rage. Pack a lunch and make a day of it. Water shoes or old sneakers are really important to protect your feet. We also recommend you call the tubing outfitters in advance to confirm that water levels are high enough to ensure safe tubing. A few years ago, the newest attraction in the Smokies was zip-lining. Now the craze is gravity-propelled mountain coasters that race you down the hillside, one or two riders at a time. If you don’t pull the brake, your speeds can top 25 mph. 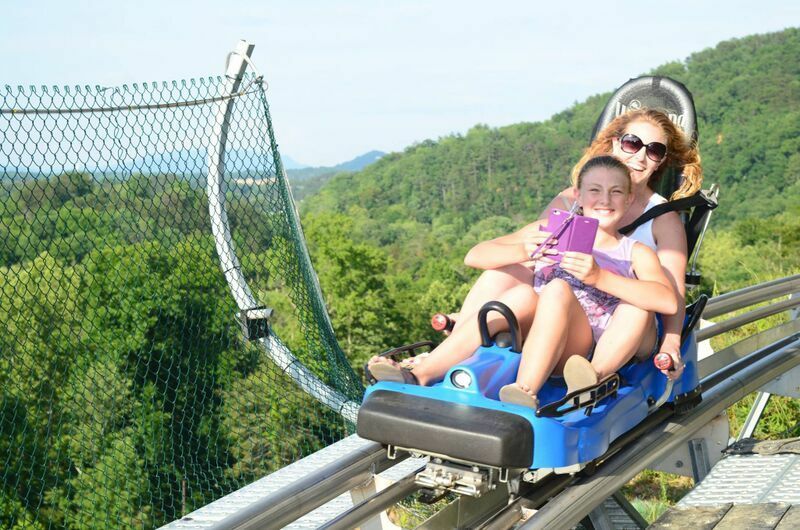 Our favorite is the Smoky Mountain Alpine Coaster in Pigeon Forge with more than a mile of track. 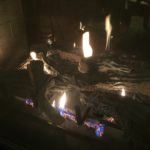 Others include The Coaster at Goats on the Roof (right down the street from the Alpine Coaster), Ober Gatlinburg’s Ski Mountain Coaster, and just as you come into Gatlinburg, the Gatlinburg Mountain Coaster. Due to the popularity of these coasters, you might experience a longer wait time in peak season or holiday periods. Check the coaster websites as well as their Facebook pages for unadvertised specials. Huge classic car shows every April and September are hosted in Pigeon Forge. Automotive buffs come from states away and plan their vacations around the Spring Rod Run, Fall Rod Run and the Shades of the Past shows. Fans and owners of Corvettes, Jeeps, Chevrolets and even motorcycles hold shows, too, on a much smaller scale. If you’re planning a vacation to the Smokies in April or September, check the car show schedule if you want to avoid crusin’ the Parkway with all the other car buffs. It’s a great experience if you aren’t in a hurry to get anywhere fast! If you are going to be staying in the area during a car show weekend and would like to know how to avoid the car show traffic, just contact us and depending on your cabin’s location we’ll give you our best back-road routes. A trip to Tennessee is an outdoorsman’s dream vacation and many look to reel in a fish or two. Two of our cabins–Water’s Edge and Swaying Pines–offer catch-and-release fishing with no license required. If you’re staying at any of our other cabins, you’ll need to look to the mountain streams and rivers–and purchase a 3-day TN fishing license. The Gatlinburg fishing info page will give you a good idea of what you’ll need to fish in the National Park or the area streams. 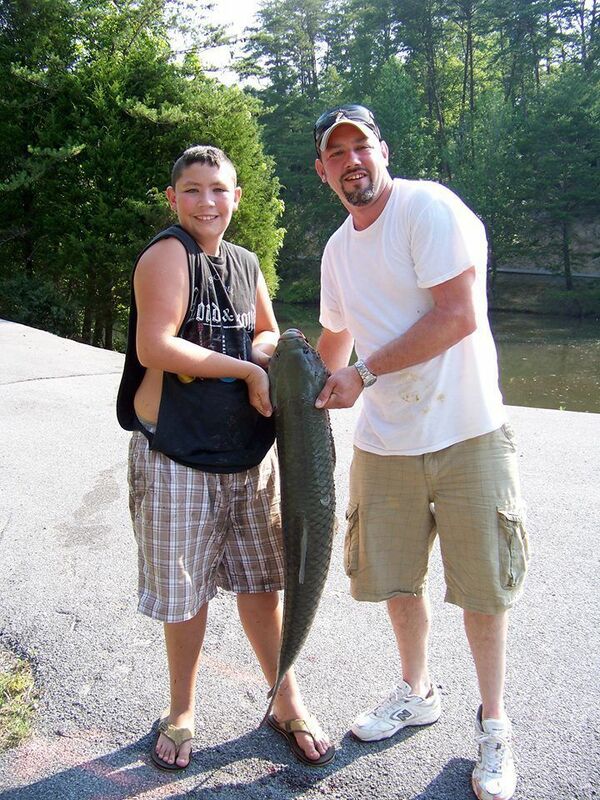 And yes, that huge grass carp was caught at our Water’s Edge pond in July 2012. Dad was mighty proud! If your kids would like to fish, there’s a little known park as you enter the north side of Gatlinburg (coming from Pigeon Forge). Herbert Holt Park is tucked alongside the river as you make the curve going into town and offers a fishing area only for children 12 and under. Make an immediate right hand turn at the small sign and follow the road to the park. This park also has a nice new playground and a pavilion you can rent for $35.00 (4 hours) for family gatherings. To reserve a covered pavilion, call the Gatlinburg Recreation Department at 865-436-4990. If you’d like to learn how to fly fish or fish with a guide, there are several choices: Fly Fishing the Smokies,Little River Outfitters (in Townsend) and R & R Outfitters (also based in Townsend). 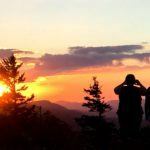 Here’s a good resource as well, with weekly fishing reports: Fly Fishing the Great Smoky Mountains National Park. If you’d like to take your dog out for some exercise, this pet-friendly patch of land near the Old Mill historic district has plenty of parking and is conveniently located. Patriot Park does not offer playground equipment, though. It’s a large green space bordered by the Little Pigeon River with a 1/2 mile paved walking trail. Along the river you can feed the ducks and geese, skip stones or spread out a blanket and relax. There’s a small gazebo you can reserve free of charge by calling the city at 865-429-7373. Most people use the gazebo for small wedding ceremonies, vow renewals or even family photos. The parking lot also hosts the Patriot Park Trolley Depot, so you can pick up a trolley and ride to Dollywood, Splash Country, up and down the parkway or the Gatlinburg Welcome Center. 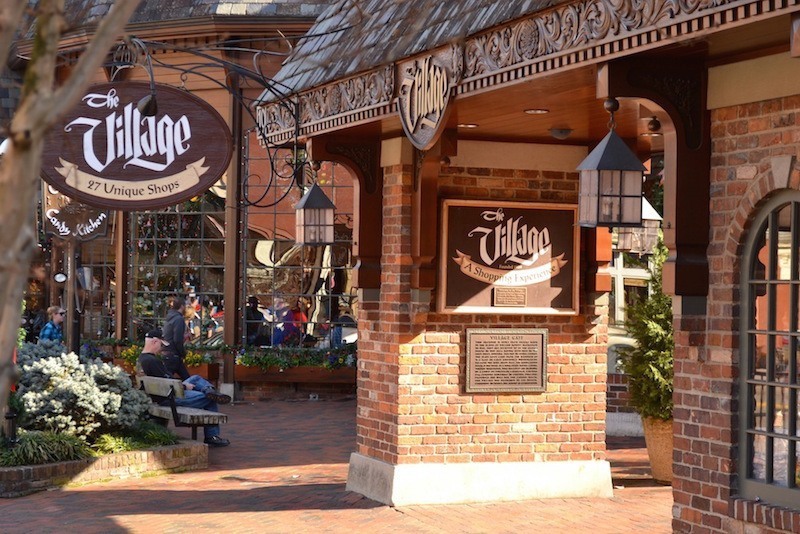 One of the most charming shopping spaces in Gatlinburg is The Village, next to the famous Pancake Pantry. The brick entrance and walkway invites you to an entirely unique experience of 27 boutiques, eateries and galleries. From The Day Hiker to The Silver Tree, The Hofbrau Haus & Cheese Cupboard toThe Donut Friar, you’ll find tasty treats and unique treasures. Hours are seasonal so check the website for hours during your visit. With it’s old world charm and flower beds, fountain, nooks and crannies, the Village is a great location to take photos. Public restrooms in Gatlinburg aren’t easy to find. Tucked in the back of The Village you’ll find one. From the Parkway entrance walk to the fountain, make a right turn and walk up the brick path to the very back. It’s kind of tucked away but good to know it’s there. One of the most unique artist communities is the 8-mile Arts & Crafts Loop just east of Gatlinburg. Established in 1937, this drive-to area of entirely local artists and crafters is filled with Appalachian pottery, paintings, leather, photography, brooms, baskets and more. 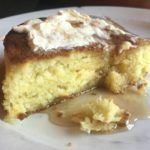 If you’re looking for off-the-beaten-path dining, there are plenty of choices…including The Fox & Parrot Tavern, Glades Soda Fountain, Morning Mist Cafe, The Ship Pub, The Wild Plum Tea Room (lunch), Timbers Log Cabin Restaurant, Three Jimmy’s (a personal favorite) and Wine A Little Wine and Tapas Bar. Most shops are only open 10-5 or 6 p.m. so plan your day to start early, then take a lunch break with the locals and finish the afternoon with a few more shops. Winter in the Smokies is synonymous with skiing, skating and tubing at Ober Gatlinburg. It’s open year-round, though, and even in the warmer months they have activities to offer: indoor ice skating, Wildlife Encounter, Ski Mountain Coaster, amusement rides, restaurants and shops. 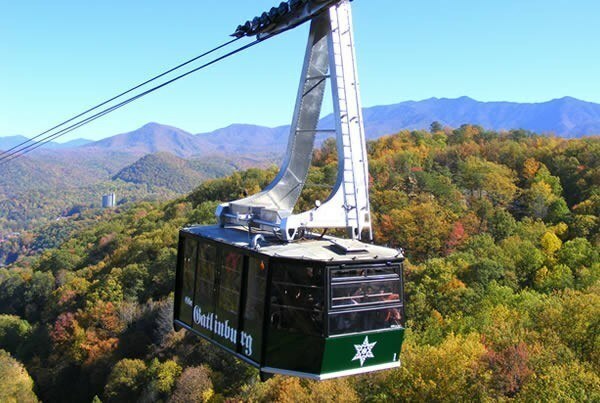 You can drive up the mountain to Ober Gatlinburg or ride the Aerial Tramway. Check out their FAQs before planning your visit. Parking is $5 whether you park and take the aerial tram from Gatlinburg or drive directly to the resort. If you ride the tram, the fee is $12 for adults and $9.50 for children ages 5-11. Children under 4 are free. If you buy a ski lift ticket, Ober Gatlinburg will rebate you $5.00 if you ride the tram. Snow tubing is very popular and you’ll need to reserve your session. You can check the tubing runs here at this webcam. 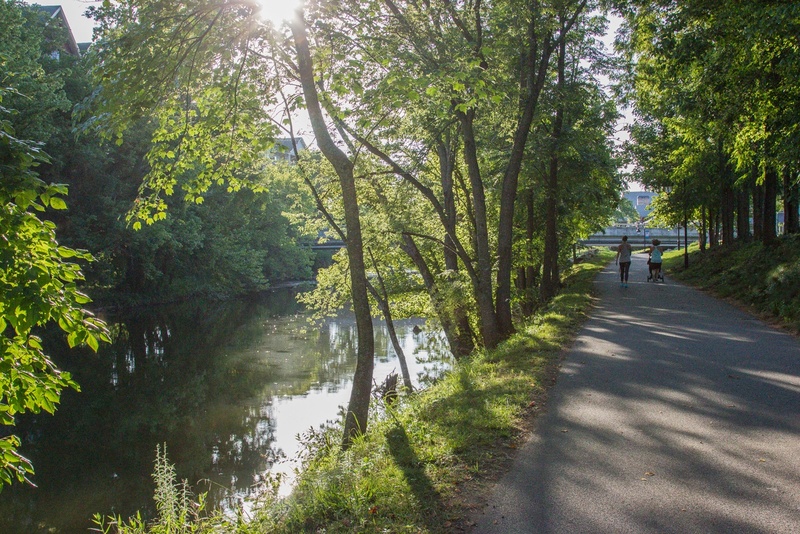 If you enjoy quiet spaces like a greenway walking trail alongside a river, you’ll like the Riverwalk that connects The Island’s parking lot and the Old Mill Historic District. Most people don’t even know it’s there. The easiest access point is The Island’s parking lot. You’ll see the street lights that line the greenway next to the river. That’s your entry point. If you walk the entire 2 miles, you’ll end up at Butler Street (at Ashley Avenue). The asphalt trail will end but you can continue south–following the street lights–ending up at the Old Mill Historic District and Patriot Park. You can feed ducks along the way and there are several benches for taking a break. See the video here. Most of this flat trail is shaded by trees along the river, so it’s an ideal greenway for runners. There’s a drinking fountain at the Butler Street entrance (just outside of view on this photo). What began a few years ago with one local distillery has grown into big business in the Smokies. If you’re of legal age to drink and provide your ID, you can pony up to the counter and sample several flavors. 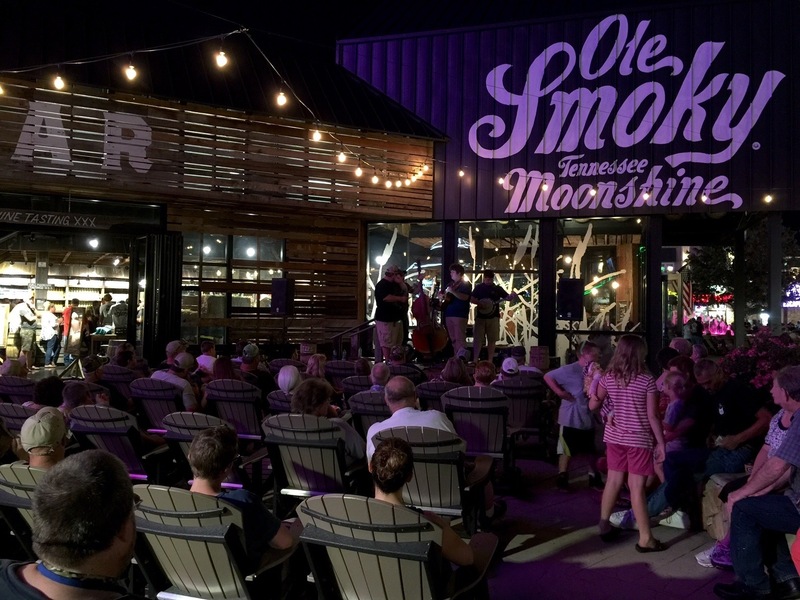 Because you have to be 21 to visit the web sites, we’ll just provide the business names and not the links here: Doc Collier Moonshine, Gatlinburg Barrelhouse, Old Forge Distillery, Ole Smoky Tennessee Moonshine and Sugarlands Distilling Company. On a recent visit, we took home one of the plastic thimble-sized sample cups. For grins, we measured out about 7 thimbles worth of water–the equivalent of how many samples you might try at a typical distillery. To our surprise, that added up to about one-quarter cup. Always make a member of your party a designated driver if you plan to sample moonshine. If you loved climbing trees as a child, you’ll probably enjoy stepping it up to the adventures of zip-lining. There are several zipline establishments in the area to choose from and like many attractions, we recommend you first check out reviews on Trip Advisor. One top-rated zipline is Smoky Mountain Ziplines and it’s only half a mile from five of our cabins. Other area choices include Adventure Park at Five Oaks, Climbworks, Foxfire Mountain Adventure Park, Legacy Mountain Ziplines, Wears Valley Ziplines, Zip Gatlinburg. Ziplines require reservations, so choose a good weather day and call at least one day in advance. For discount coupons, check Living Social and Groupon several weeks before your trip. Some of the ziplines will offer substantial discounts on these sites. 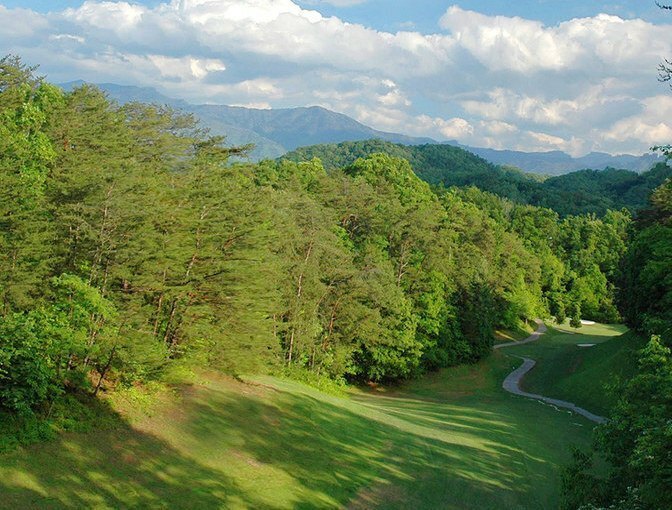 Rated as Tennessee’s #1 municipal golf course, the Gatlinburg Golf Course is worth the price of admission if only for the views. Interestingly, it’s not in Gatlinburg but just a short drive off the Parkway in Pigeon Forge at traffic light #8. Built in 1955, these links take full advantage of the topography. The famed hole #12 “Sky Hi” is 194 feet but drops 200 feet to the pin. From June through October and holidays, greens fees for 18 holes with a cart are $60.00 before noon and $50.00 from 12-4 p.m. Tee times after 4 p.m. are $40. 00. Discounted rates are available for seniors, juniors and active military. If you want to play 9 holes, the rate is $30.00. Rates are discounted by $5.00 for April, May and November golfing. Tee times may be scheduled up to 14 days in advance. This course is hard to beat so be prepared to lose a few balls. But the fun of playing on such a beautiful, challenging course will leave you with great memories even if you finish several strokes higher than your usual game! Dollywood is synonymous with Pigeon Forge and this family-friendly park continues to grow with the spring 2016 addition of the Lightning Rod Coaster, touted to be the fastest wooden coaster in the world. The park has always been a favorite for all ages in that it offers not only rides and amusement park food and fun, but also top-notch musical theatre productions, several festivals each year, plus Smoky Mountain craftsmen and wildlife attractions. Discounts are hard to come by but for several years Dollywood has offered a “come after 3 p.m. and return the next day free” program. Check the Dollywood web site for current special offers as they may change. You can save the $12 parking fee by riding the trolley for 50 cents per person from Patriot Park (where parking is free). More Dollywood FAQs can be found here. The Great Smoky Mountains National Park has a pretty strict pet policy limiting where you can take your dog in the park. 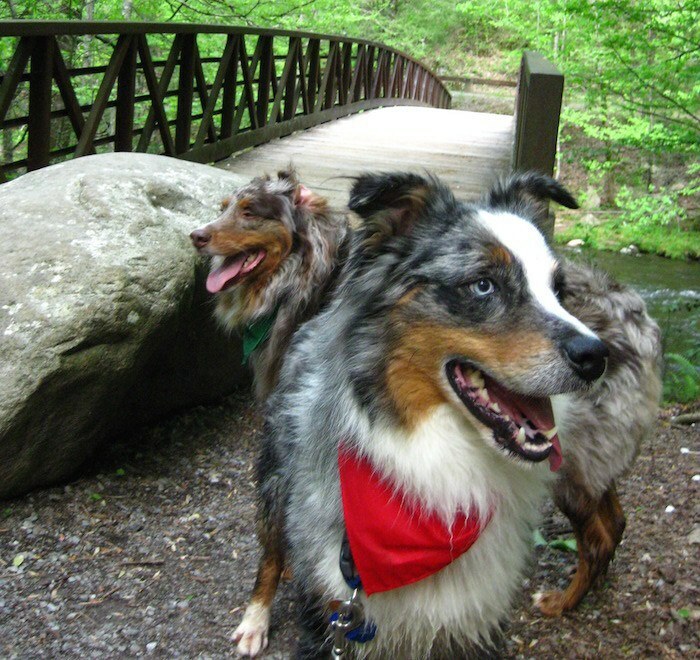 But fortunately they’ve set aside two paved walking trails that welcome canines: the Gatlinburg Trail (1.9 miles) and the Oconaluftee River Trail (1.5 miles in N.C. near Cherokee). We’ve walked both and they are not difficult trails, both starting at the visitor centers so parking is easy and plentiful. You’ll also see these trails frequented by bicyclists, joggers and strollers so traffic is more than just man and dog. Your pet must be leashed at all times (6 foot leash or shorter) and it’s important to pick up after your pet and dispose of waste properly in trash containers. 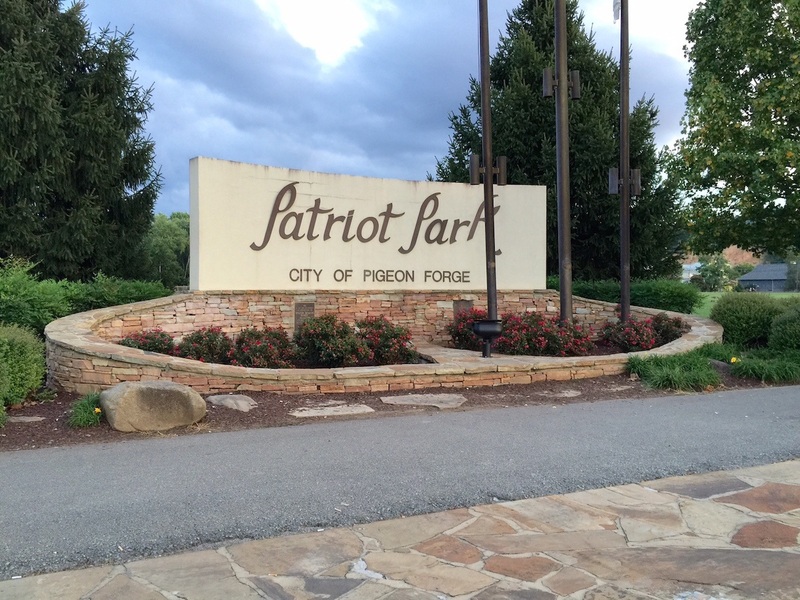 If you’re looking for more park opportunities to spend time with your pet, the City of Pigeon Forge and City of Gatlinburg parks are pet friendly and offer more recreational opportunities for you and your dog. The Gatlinburg Trail connects the Sugarlands Visitor Center in the national park to the city limits of Gatlinburg. The parking space at the Gatlinburg trail head only accommodates 3-4 vehicles, so we recommend parking at the Sugarlands parking lot and then walking to Gatlinburg and back. 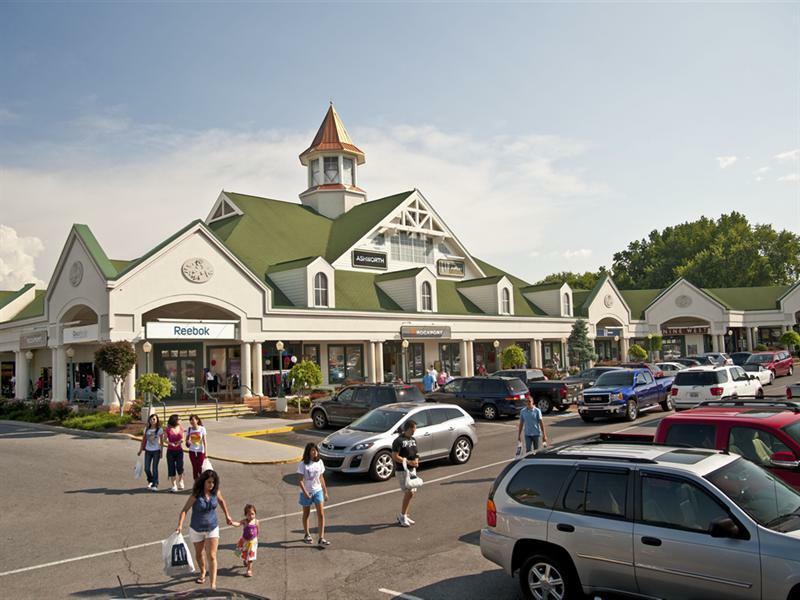 When you need an outlet shopping fix, Sevierville’s Tanger Outlet Center gives you the cure. Located just north of Pigeon Forge on the Parkway, Tanger has plenty of parking. But if you come during the holidays or big shopping events (like tax-free school shopping on designated weekends in April or August), you’ll be have lots of company so come early to get a parking space. All the name brands are well represented: Nike, Adidas, Old Navy, Tommy Hilfiger, Bose, Ann Taylor, Coach, Swarovski, American Eagle, Michael Kors, Gap, Justice, Oshkosh B’gosh and more. Here’s a link to a map and all the stores at Tanger. Before you go, check their web site for coupons and other promotions. It seems like they always have something going on, so why not save a little more? Dress comfortably, come early and bring some snacks and water bottles to keep you going. They have a few places for refreshments like Starbucks, Froyos, Subway and Ben & Jerry’s but it’s not full of sit-down restaurants. The anchor restaurant is The Chop House. Ripley’s Aquarium of the Smokies is probably one of the best attractions for children in the Smokies. 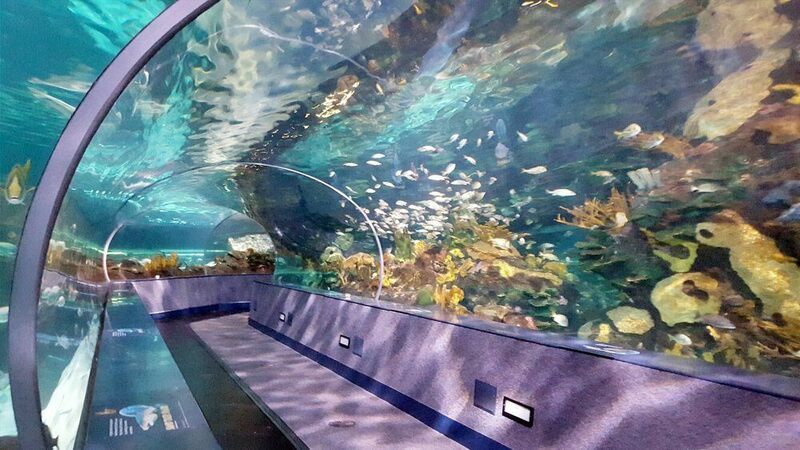 Certainly it’s cool for adults–especially those who love sea creatures–but the exhibits are mesmerizing for youngsters and it makes a great rainy day activity for 2-3 hours. The aquarium isn’t large but it packs a lot of quality exhibits. A moving walkway takes you through the Shark Lagoon. Check out the playful penguins. Or have your hand “manicured” by a swarm of fish. Ripley’s also gets high marks for friendly staff. Go weekdays before noon for the best, least-crowded experience. You can Google for Ripley’s Gatlinburg aquarium coupon codes. 50% discounts to military and 30% off to their immediate family. Conveniently close to Gatlinburg, the Roaring Fork Motor Nature Trail is perfect if you don’t have a full day to devote to hiking in the national park. 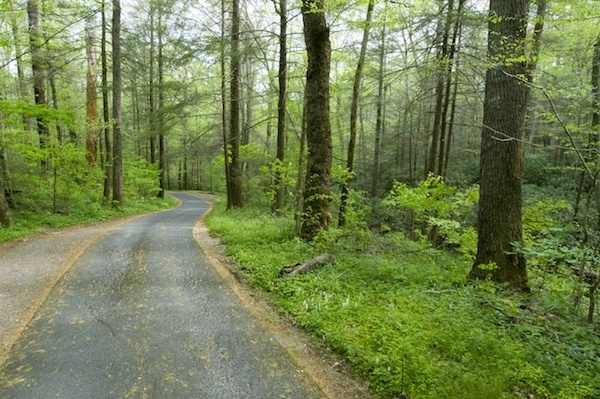 This 5.5 mile one-way paved trail lets you experience the forested terrain from the comfort of your car. Or you can stop along the way and hike to Grotto Falls or Rainbow Falls if you’re itching for a good trek to see some waterfalls. There are preserved cabins, gristmills and outbuildings to explore plus old growth forest and streams. If you’re just planning to drive the trail, set aside about two hours. The motor trail is closed in the winter. The hike to Rainbow Falls is one of the most popular waterfall hikes in the GSMNP. The 4.5 mile round trip hike is considered moderately strenous, so wear hiking shoes or boots and bring water and snacks. The Rainbow Falls trailhead is just beyond the Noah “Bud” Ogle farmstead. 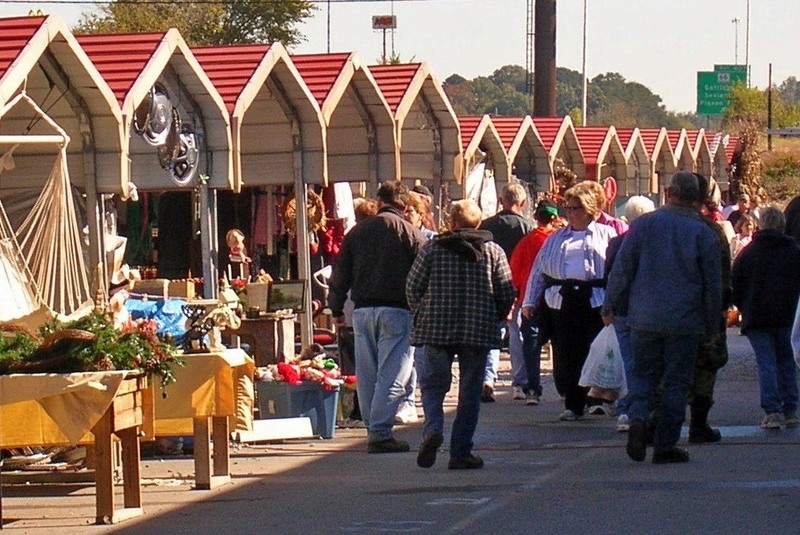 They say more than 1.5 million people visit the Great Smokies Flea Market every year. If you’ve ever been there on a busy Friday, Saturday or Sunday, you might be inclined to agree. This flea market has an amazing array of items from tacky trinkets to terrific finds: antiques, animals, used books, tu-tus, cheap tools, perfume, caramel corn, door mats, framed art, fresh fruit and vegetables, socks by the bundle, candy close-outs, hand-crafted decor and even furniture. Just come prepared to do a lot of walking–comfortable shoes are a must. Parking is free as is WiFi. Pets are welcome but must be on a leash at all times. You can see the flea market from I-40. Here’s a Google map to the location. The flea market is open 8 a.m. to 5 p.m. every Friday, Saturday and Sunday but some vendors only work weekends. Saturday mornings are best for selection and the most vendors. Test your rock climbing skills inside the Nantahala Outdoor Center in Gatlinburg. 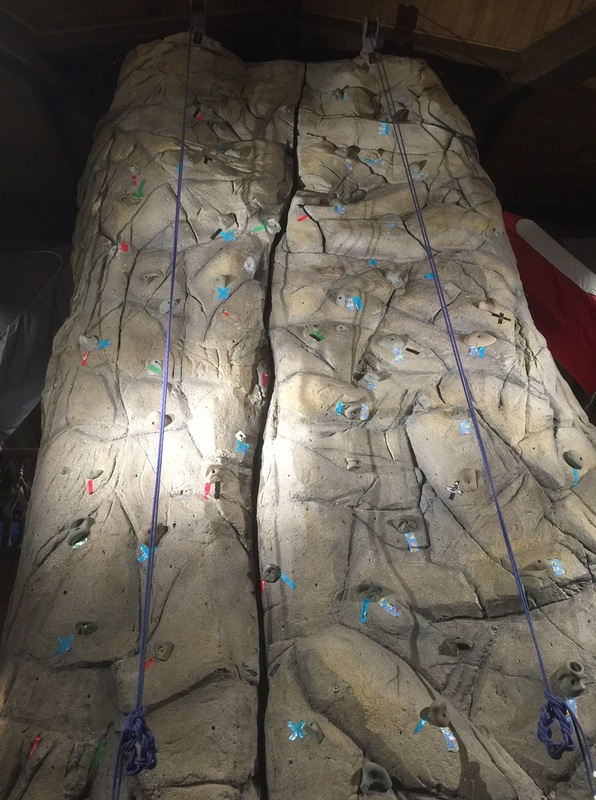 The 25 foot rock wall is a great rainy day activity. At only $5 a climb, it’s very affordable, too. NOC opens the climbing wall in the afternoon when they have more staff available–usually starting between 11 am.-noon and ending around 6 p.m. Call ahead to confirm. NOC also offers whitewater rafting trips on both the upper and lower Little Pigeon River. Young ones will love exploring the “bear caves” and the swinging bridge. NOC Gatlinburg has a vast selection of stuffed animals so be prepared for kids to want to bring a woodland friend back home.